Melbourne is set to become a key testing ground for electric vehicles within Australia with the launch of an electric vehicle hub that includes Victoria’s first fast-charging stations and an electric car for public hire. The project brings together the Victorian Government, Moreland City Council, ChargePoint, GoGet, Toyota, the local community and businesses to share information, promote discussion and foster development of the electric vehicle industry. Inaugurating the new hub, Minister for Public Transport and Roads Terry Mulder said Friday, “The Coalition Government recognizes the long-term benefits that EVs will provide for our transport system and the environment." The EV hub located at Moreland City Council offices includes two standard EV chargers, one dedicated to the car share EV; one EV fast charger; and a Toyota Prius plug-in hybrid electric car, supplied through GoGet car-sharing scheme, for staff use and public hire. In addition, Moreland City Council has installed a standard charging station in Fawkner to supplement its public EV charging infrastructure. The Victorian government has invested nearly A$50,000 in the creation of Moreland City Council’s new electric vehicle hub as part of its A$5 million Electric Vehicle Trial project. To encourage the adoption of electric and hybrid vehicles, all of Moreland City Council’s EV charge stations, including the fast-charger that takes just 30 minutes instead of overnight, will be available for the public free of charge for at least 12 months. “Moreland City Council is providing the necessary infrastructure to encourage Victorians to use electric vehicles and make it accessible and convenient, which will encourage more people to choose this sustainable transport option," Mulder said. 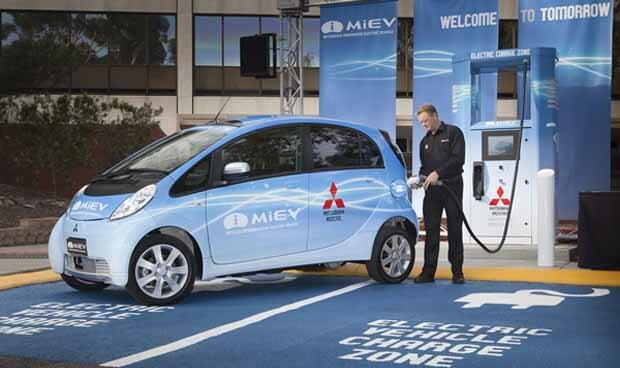 In 2012 Mitsubishi, Nissan, Holden introduced their electric vehicles into Victoria; in the near future Renault, Ford, Toyota, BMW and Porsche all have plans to sell their electric vehicles into the state. “This facility is another milestone in Victoria’s evolving EV charging network and an important step towards the State’s sustainable transport future,” Mulder said. “This project is a great example of how the Electric Vehicle Trial is providing the foundations of an emerging marketplace for electric vehicles in Victoria and Australia,” the minister said. Moreland residents will be provided with discounts and incentives to join GoGet and experience the EV. Moreland City Council will take out a business membership to GoGet so council staff can use the car when it’s available for hire. Moreland Mayor Cr Oscar Yildiz said the hub will be actively promoted for public use, to encourage council staff, local residents and businesses to test the benefits of using an electric car. “The pilot project is a perfect opportunity to test the viability and popularity of these facilities in the Coburg area, with a view to this service becoming an ongoing offering,” Yildiz said. The Electric Vehicle Trial will run until mid-2014, to gather a better understanding of the timelines, processes and barriers electric vehicle technology faces across Victoria.